Log in|Sign up for your first delivery! 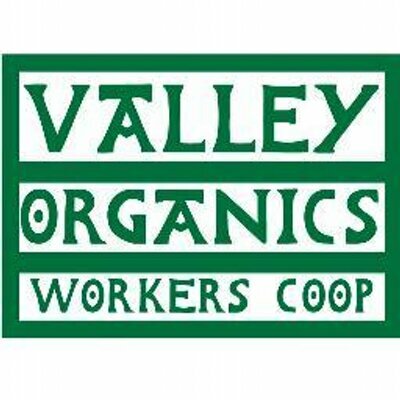 Valley Organics Workers’ Co-op provides good quality, ethically sourced organic food – locally grown and produced wherever possible - that you can trust. Our shop at 31, Market Street Hebden Bridge has a large range of fresh produce, wholefoods, prepared foods, confectionary, chilled and frozen foods, household and bodycare products. All our fresh produce is either certified organic or from local growers whose growing methods we approve. Most of our other products are organic but we do stock some non organic products where there is no organic alternative. We keep a range of foods to suit special diets - gluten free, sugar free, dairy free, vegan. We are proud of the many products from local producers - honey, preserves, hummus, nutroasts, mushrooms, green veg and salads, cheeses, soaps. In season, we keep a fabulous selection of UK grown apples and celebrate them at our annual apple day. Many of our products make excellent gifts, including our range of T-towels with quirky designs in the splendid Hebden Bridge font. Our organic veg and fruit boxes are delivered to homes in and around Hebden Bridge in our all electric van. We can deliver your shopping locally too, for purchases over £20. We are a Workers’ Co-operative. Our Members have an equitable stake in the ownership and running of the business. How does a Veg Box Scheme work?